WCCT Global announces the acquisition of Early Phase Ophthalmology and Aesthetics capabilities. 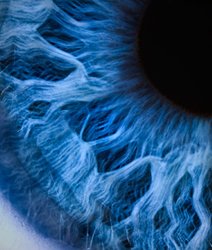 This acquisition expands WCCT Global's capabilities in the Ophthalmology clinical research. The team brings more than 75 combined years of clinical and research experience in the areas of ophthalmology and aesthetics. WCCT Global, a contract research organization headquartered in Orange County, California, announced today the acquisition of OC Clinical Trials and Consulting, an early stage ophthalmology and cosmetology research practice. This acquisition provides WCCT Global with expanded early phase capabilities in its Ophthalmology Center of Excellence in the areas of Cornea & External Disease, Uveitis, Vitreoretinal Diseases, Glaucoma, Neuro-ophthlamology, Oculoplastics and pediatric ophthalmic conditions such as Strabismus and Amblyopia. Dr. Michael A. Sheety, WCCTG’s Medical and Surgery Director of Ophthalmology and Aesthetics says, “We are very excited to integrate this exceptional group of 6 Investigators and 5 study coordinators and research personnel into WCCT Global’s organization. The team brings more than 75 combined years of clinical and research experience in the areas of ophthalmology and aesthetics, and we’re confident that by joining this experience with WCCT’s solid infrastructure and reputation for conducting quality clinical trials, we will be able to provide unique capabilities in the area of ophthalmology and aesthetics to our Sponsors.” Dr. Sheety is board certified and fellowship trained in all aspects of refractive eye care including suture-less surgery and corneal transplantation. He has performed thousands of vision correction procedures, and also has extensive experience performing reconstructive and cosmetic eyelid surgery. In addition to his role overseeing WCCT Global’s Ophthalmology Research Center of Excellence, Dr. Sheety also serves as the chief consultant at the Children’s Hospital of Orange Country for all reconstructive eyelid injuries and the Grossman Burn Center at Western Medical Center in Santa Ana, CA. In addition, Dr. Sheety owns and operates one of the leading facilities in the treatment and prevention of dry eye disease. His dry eye facility conducts specialized treatments such as laboratory micro-analysis of tears and autologus growth-factor drops compounded for each patient to meet their exact needs. WCCT Global is a multi-site, full-service global contract research organization (CRO) of outsourced early drug development and late phase services to the pharmaceutical, biotechnology and medical device industries. The WCCT Global vision, "With compassion for people, we strive for tomorrow’s therapies to be available today" truly exemplifies the focus and reason for our cutting-edge work both in our clinics and throughout our operations. As a drug development partner, WCCT Global collaborates with domestic and foreign innovator companies who need regulatory, program management, data management and strategic consulting support, with an emphasis on overseeing and executing trials in special disease populations, pediatric populations, ethno-bridging, and cardiac safety. WCCT has extensive experience with healthy volunteer studies including First-in-Human (FIH), as well as specific therapeutic expertise in Allergy, Asthma, HCV, Ophthalmology, Oncology, Renal, and Vaccines. If you are interested in how WCCT Global can service one of your upcoming clinical studies, CLICK HERE.